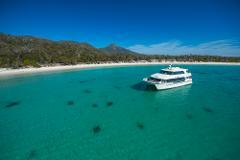 Experience the exquisite beauty of Wineglass Bay aboard the Schouten Passage II. 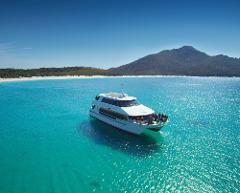 Relax and enjoy the spectacular journey around the Freycinet Peninsula and a delicious Tasmanian Ploughman’s lunch served at anchor in Wineglass Bay. A perfect gift for any occasion! Treat someone special to a spectacular journey around the Freycinet Peninsula and a delicious Tasmanian Ploughman’s lunch served at anchor in Wineglass Bay. A perfect gift for any occasion! Treat someone special to a spectacular journey around the Freycinet Peninsula including morning tea, all beverages, a Tasmanian Ploughman's lunch and local seafood tasting at anchor in Wineglass Bay. CHARTER PRICE FOR 2 HRS AROUND GREAT OYSTER BAY.